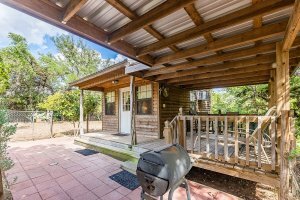 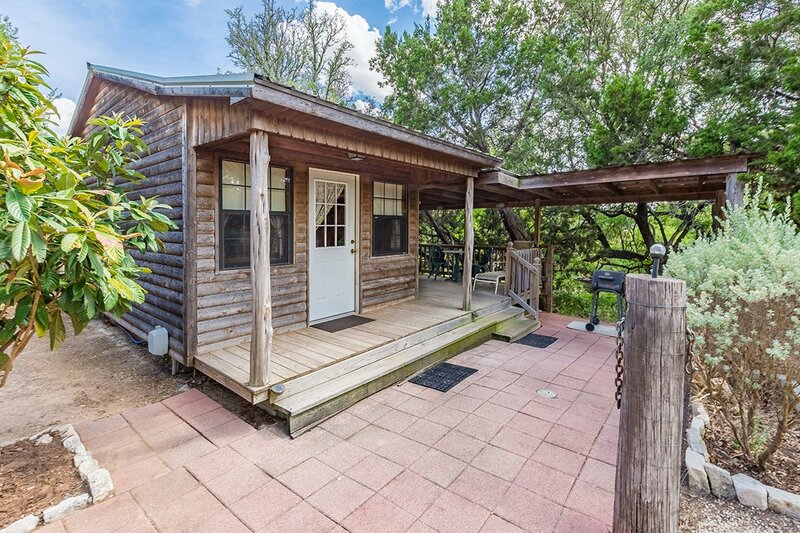 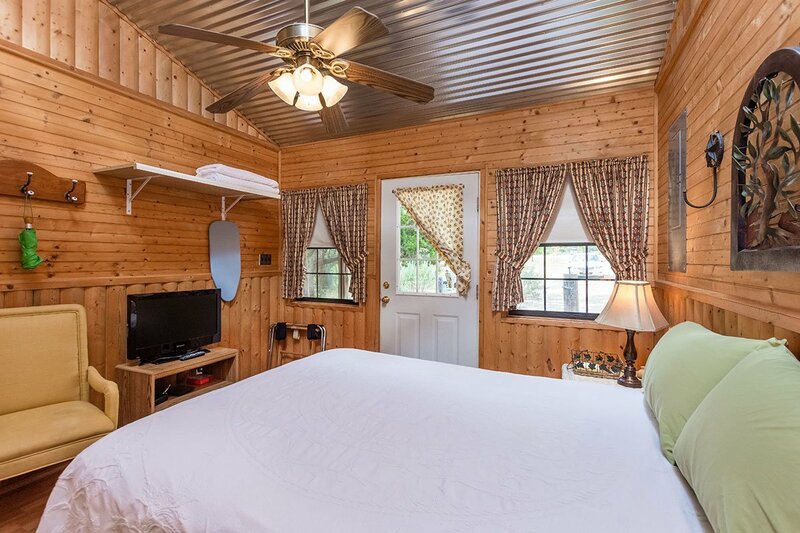 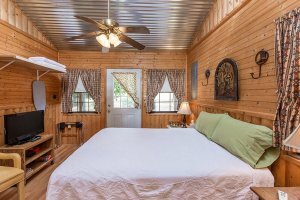 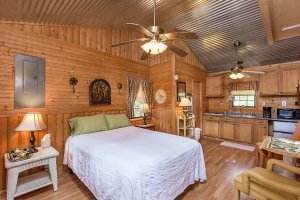 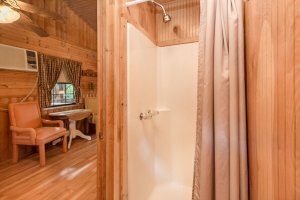 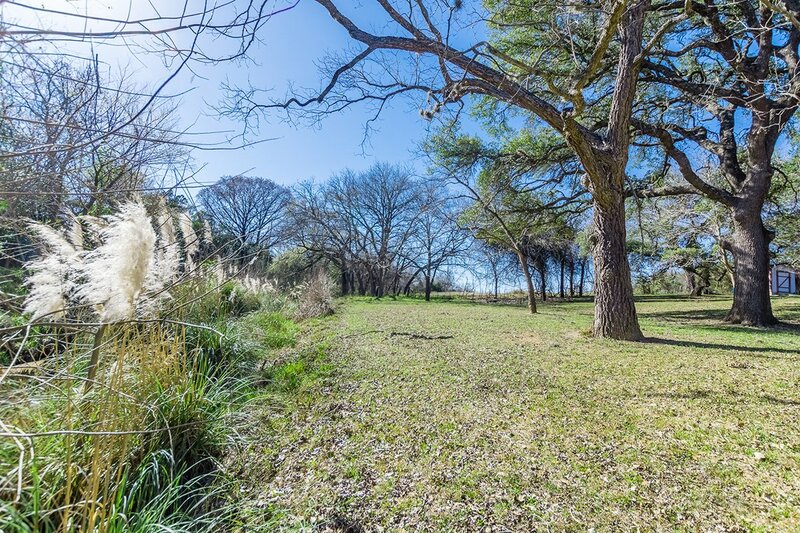 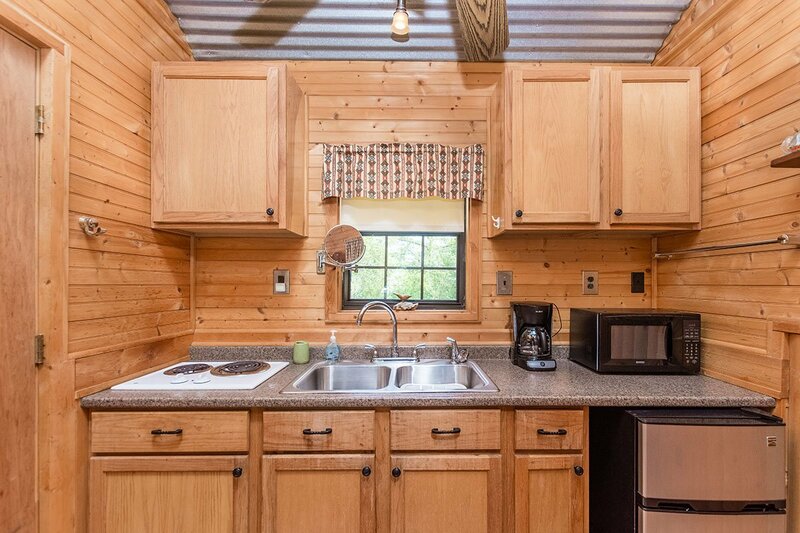 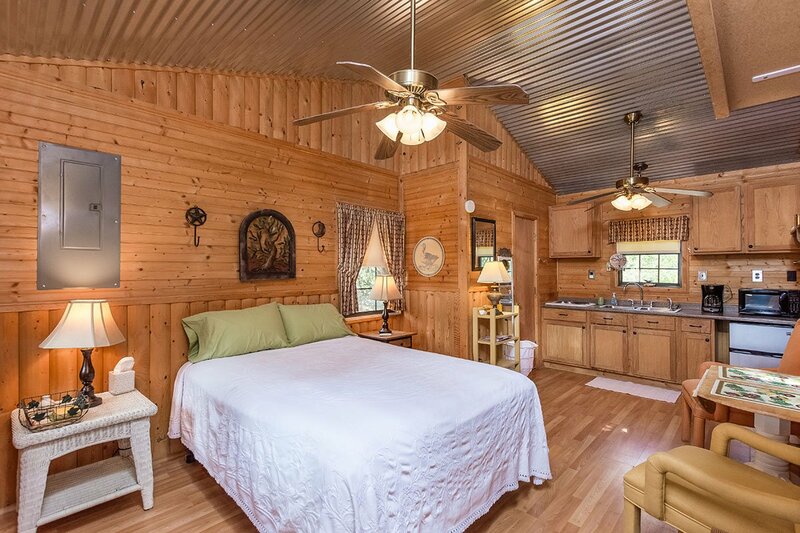 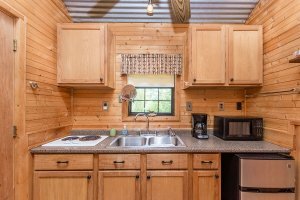 Come and enjoy a relaxing stay in your own adorable cozy private cabin for two tucked neatly away in the landscape of the Texas Hill Country. Barons-Bach Kleiner Hafen is located outside the city limits and only a short 5-minute drive to Historic Downtown Fredericksburg. 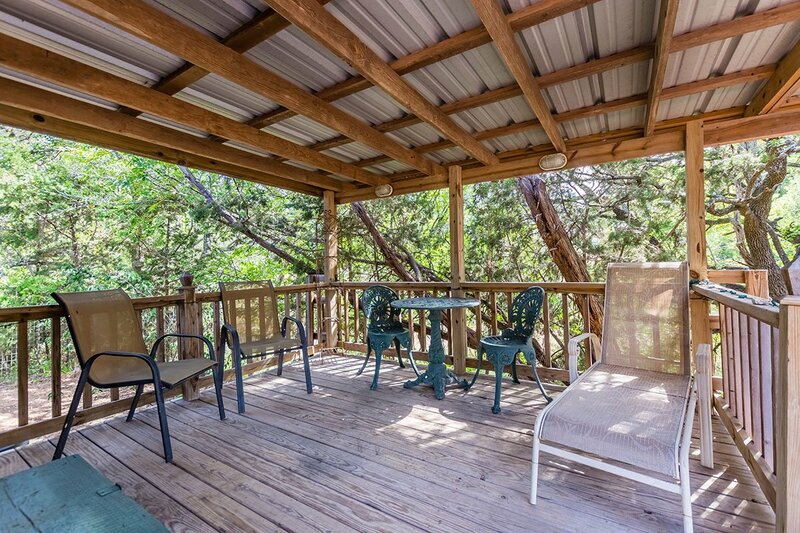 The large covered porch invites you to unwind and take in the beauty of the countryside. 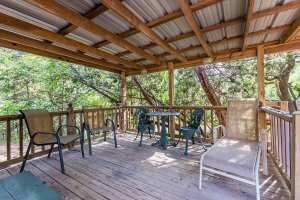 You can certainly relax outdoors while enjoying a glass of wine or cup of coffee. This comfortable cabin boasts a Queen-size bed, a fully equipped kitchen area with stovetop, and a cozy breakfast nook. 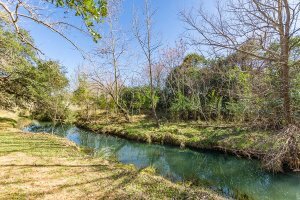 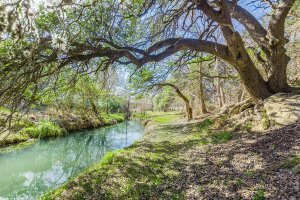 The spring fed creek on the property is an incentive for possibly seeing wildlife. 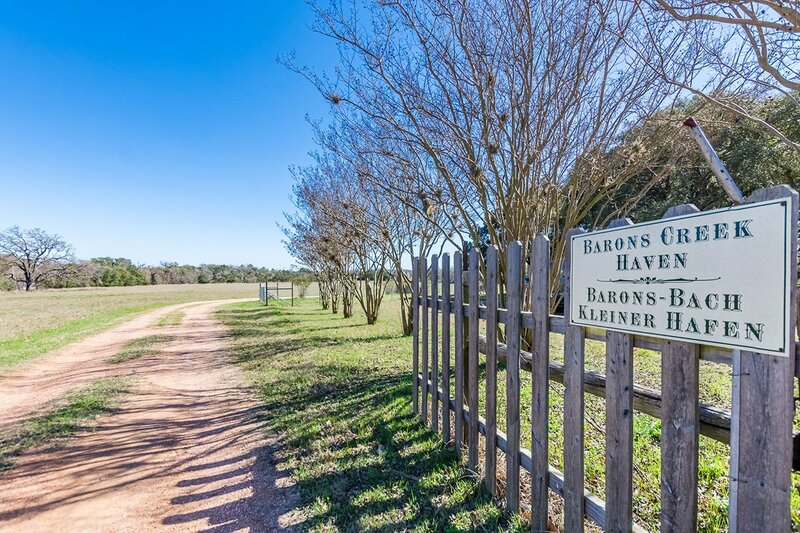 Baron Creek Haven also located on this property.